I was contacted, over a year ago, by Mea and Logan, who were both extremely excited about getting started with the planning process. I had them fill out our questionnaire and as I read through it, I realized we would get along just fine. They were adventurous, spontaneous, creative and a very fun (for lack of a better word) couple! 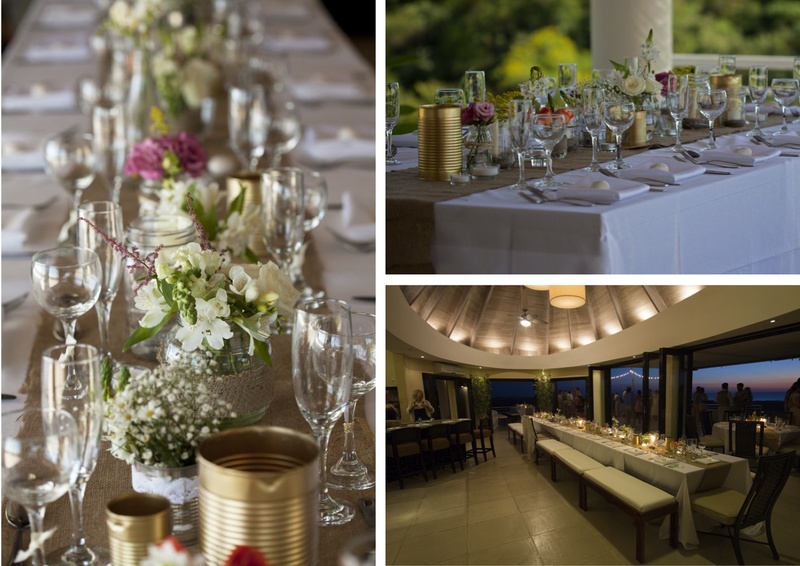 They wanted their experience, as well as their guests’ experiences to be relaxed, stress free and an extension of Mea and Logan, which is just that…easy breezy! 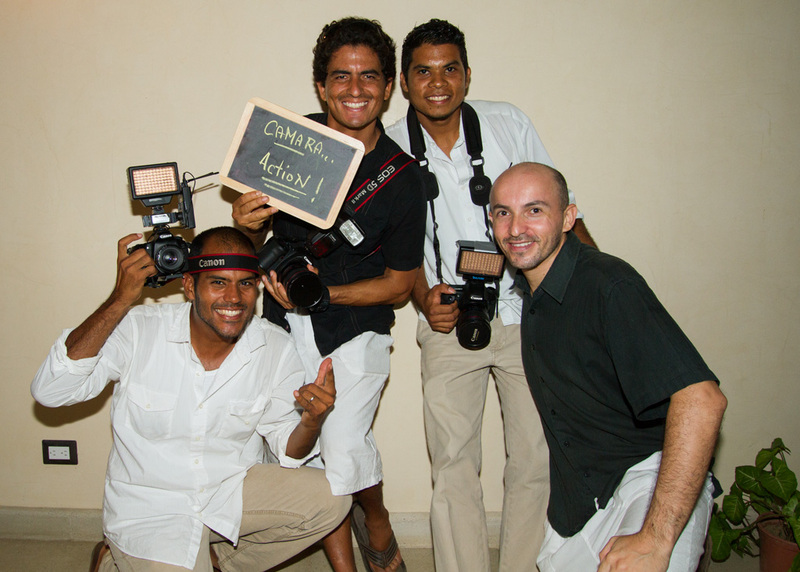 They had chosen the perfect location for this, Villa Paraiso. They had made the decision before the construction was ever complete…and what a perfect choice in location it was. 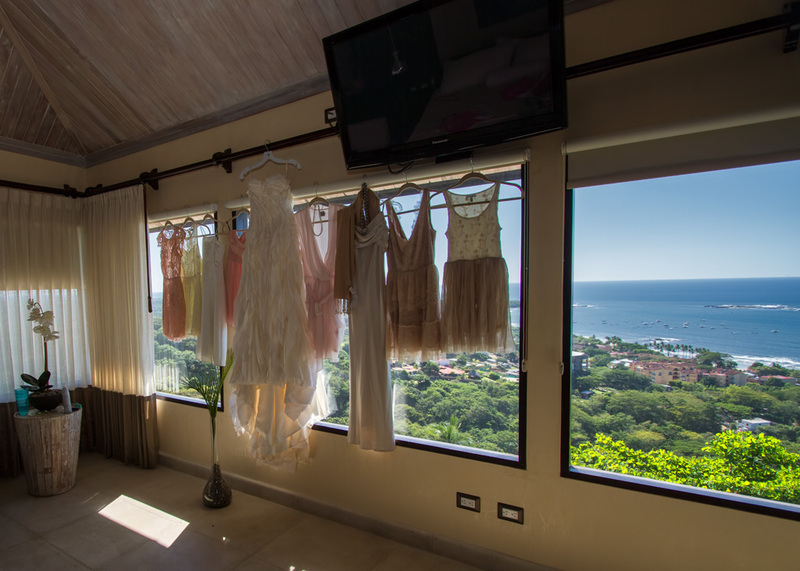 Villa Paraiso, located at the top of Tamarindo, which gives views north to Playa Grande and south to Playa Avellanas. This location is about as luxurious and relaxing as it can get. We worked on the design for a while, throwing ideas around and playing with concepts, to make everything just right! I was thrilled with the design we came up with, very rustic chic with burlap, lace, various glass jars, gold and silver tins, and flowers in muted romantic tones. 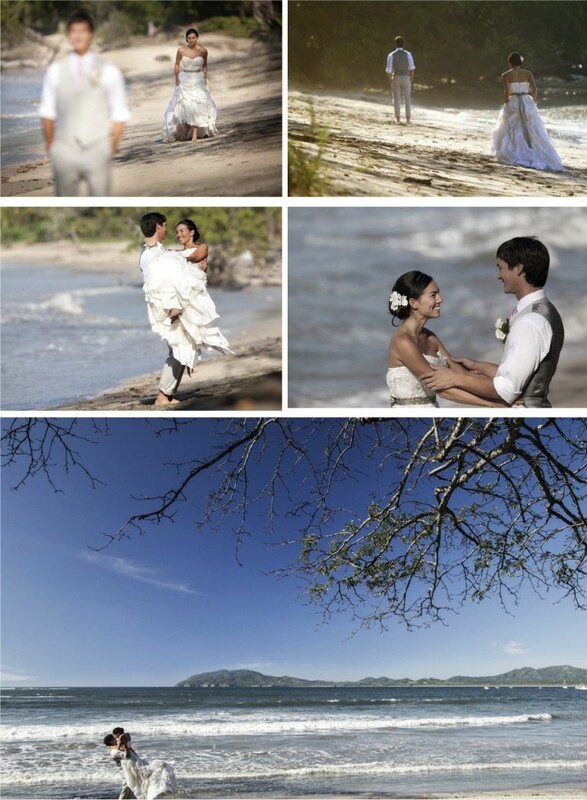 The ceremony was in Langosta-Tamarindo, under the trees, but with views and sounds of the ocean. To be sure they get absolutely everything on tape, we strapped Go Pros on trees, the altar and even the Officiant. I thoroughly look forward to seeing this video! Their first looks photos turned out great! We got everyone back to the house for sunset, hors d’oeurves and cocktails. Signature cocktails included Mea and Logan’s favorites, Sweet Tea Vodka and Frozen Bellini. Tables were decorated with fresh picked, garden feel arrangements. Other details included mini chalkboards with drink and hors d’oeurves details, photo booth, natural wooden platters, and bikes with “JUST MARRIED” on the fenders, but the list goes on. Mea and Logan are a very special couple, with the support of amazing family and friends. They were such a kind and helpful group of people and I only hope that I get the pleasure of seeing them again. I wish you all the best Mea and Logan, I know that the process was not always easy, but it was always interesting and I know we had a lot of fun! I’m extremely happy with the outcome, and even happier that I was able to get to know the both of you in the process. Thank you both so much and I can’t wait to do your vow renewal!